This immaculate 5 bedroom, 5 bath home, built for this owner, is perfect in every detail. Priced $500,000 below new cost. Many custom features; such as, Brazilian Teakwood floors, Travertine tile, stained and painted double-crown molding, trey ceilings with accent lighting, remote control window treatments in Master Bedroom; Master closet is 17×09 w/closet system; Central Vac; custom-built Entertainment Center in Family Room; 7 flat-screen TVs and all stereo equipment remain; gourmet kitchen features Butler’s Pantry, Closet Pantry, built-in refrigerator, gas cook top, microwave, 3 convection ovens, warming drawer, 2 beverage cooling drawers, 2 dishwashers, prep island with add’l sink, all countertops granite; media/game room w/wet bar, cedar wainscoting and ceiling; upstairs guest suite includes bedroom, sitting room, full bath and kitchenette; upstairs storage room; screen enclosed, salt water, heated pool and spa with water fall feature; outdoor kitchen with sink, grill and refrigerator; gas, stone fireplace with sitting area; outside stone walkway leading to fire pit; located on 1-acre beautifully landscaped and irrigated with well water; citrus trees; One 2-car garage being used as a workshop w/ separate A/C, and cabinets; can be used as an additional 2-car garage; Versa Lift for attic storage; wired for generator; 500-gallon in-ground, owned gas tank; Desirable NW corridor of Seminole County, convenient to the 417 and the New 429 Expressway. 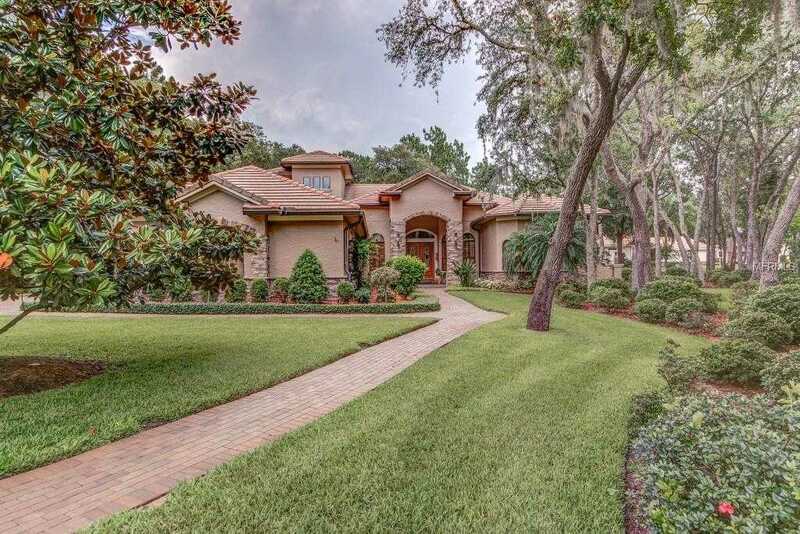 I would like to schedule a private showing for this property: MLS# O5752551 – $995,000 – 8657 Crested Eagle Pl, Sanford, FL 32771.